Specialized inshore saltwater series designed and built for superior performance. Batson Forecast® hard aluminum-oxide guides with 316 stainles-steel frames for dramatically improved corrosion resistance compared to 304 stainless-steel frames. Fuji® DPS reel seat/black hoods on spinning models. Fuji® ECS reel seat/black hood on casting models. 5-year warranty backed by unmatched St. Croix service. 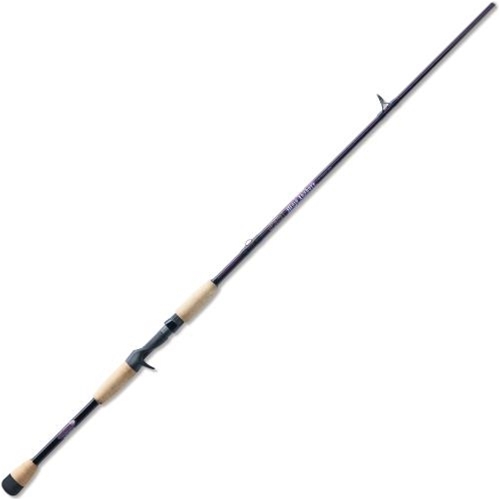 I’ve fished the Mojo Heavy inshore casting rod for years and just bought the Heavy inshore spinning rod for my son and paired it to a Shimano Sustain FI 5000. His first fish with the combo was a 48 inch cobia that took 45 minutes to land. The rod balances out and casts perfectly. We use them for schoolie dolphin and bull reds out of Venice Louisiana. You will not be disappointed with the quality of these rods or the price from Platte River.